one of the top 300 private insurance agencies in the U.S.
to be engaged with clients 365 days a year – not just at renewal time. We work daily to leave a legacy impact on our community and on clients. with nearly 75 years of combined experience. Insurance needs and coverage vary widely by industry and client. Business owners need both protection and consultation. 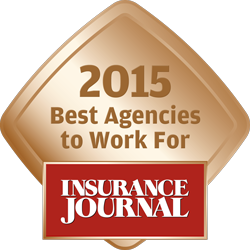 We work diligently on your behalf in the insurance marketplace. impact right here at home. We exist to protect the assets and income of our clients by proactively determining their needs and providing the products and services necessary for them to become the best and most successful in their industries. Our DMIG 365 Team is deployed to assist our business clients who have specialized needs and exposures.